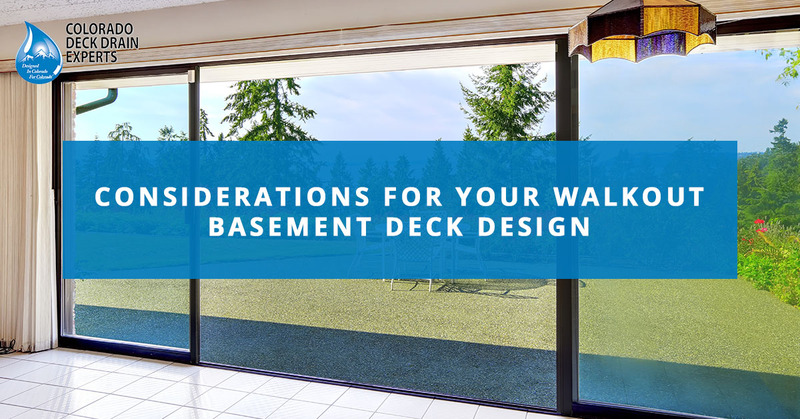 When it comes to deck design and walkout basement deck designs, there is a near endless list of options available to you and it’s a long-term investment that requires careful consideration. 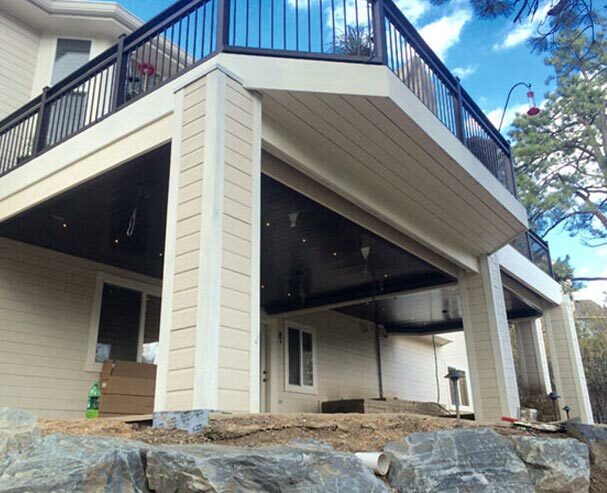 For some homeowners, basement walkout decks are the best use of space. 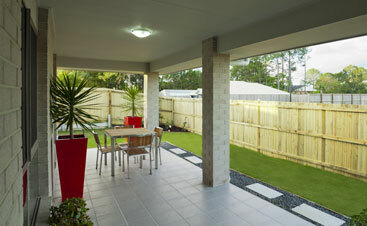 However, for others, they may have a different idea in mind like an underdeck patio area. Either way, it’s important to consider the pros and cons before making a final decision. Let’s take a look at some of each. 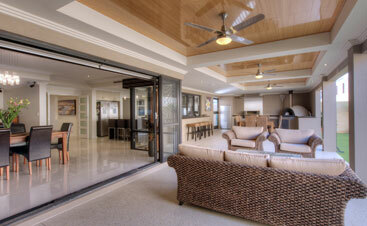 Probably the most common reason for basement walkout decks is the added living space you’ll gain from it. The problem with a normal basement design is that it usually isn’t an area that people want to spend any time in because it can be dark and dingy without any lighting or screen doors to bring in some light. With a walkout basement and either a patio or deck, you’ll be able to make better use of your basement, rather than just using it for storage. The addition of natural lighting to a basement will give it a much homier feel. With a walkout basement, it will be up to you how much natural lighting you want. Of course, since you’ll only have windows on one side, you won’t always have natural light depending on which way your home is facing. However, it should be enough to make it a more enjoyable place to spend your time. If you have a ground level deck or patio, it will be much easier to access from your walkout basement rather than having to walk out onto your elevated deck and go down the stairs. 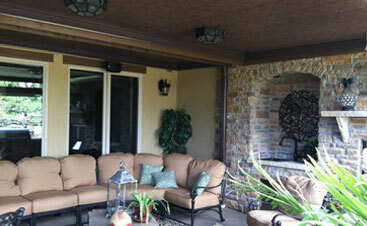 If you like spending a lot of time on your underdeck patio area all year long, this will be very beneficial for you. The only real downside to creating a walkout basement is the cost. Since creating a walkout basement requires a lot of excavating and careful planning, it’s never cheap and can increase your property taxes as well. If you’re concerned about the cost or whether it’s even possible on your home, you should speak with a contractor who’s experienced with these kinds of projects. Regardless of whether you choose to have a regular basement or a walkout basement, your under-deck drainage will play a crucial role in maintaining the area under your deck. 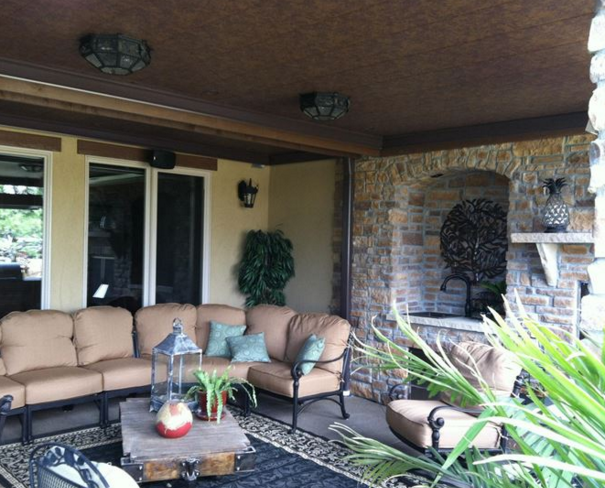 Whether you like to enjoy your under-deck patio area all year long or you just want to use it for storage, you need it to be dry. 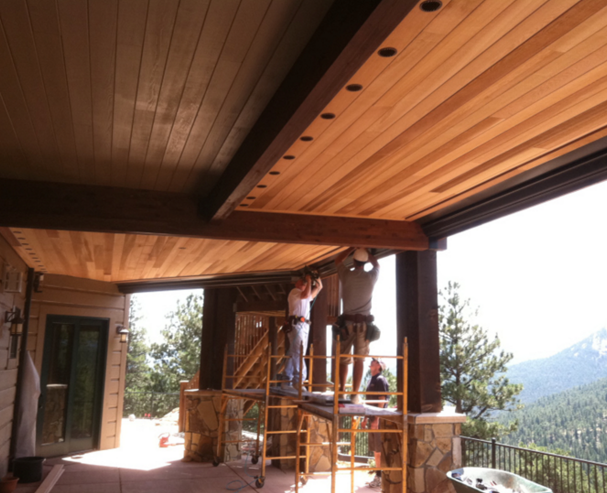 Our under-deck drainage systems here at Colorado Deck Drain Experts are installed seamlessly to the bottom of your upper deck allowing you to install lighting fixtures and fans. If you’re having trouble deciding what type of deck drainage you want, we’ll inspect your home and offer suggestions that will provide you with the best long-term results. Call us today or visit us online to get started.